Yes. 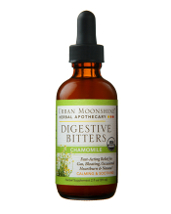 I Want To Receive Dr. Christine's FREE 8 Phases of Digestive Stress Video. At Omega Digestion, our mission is to bring plant-based enzyme nutrition and healing botanicals out of the perplexing chemistry class and into the mainstream lunchrooms and family tables. We are working to reintroduce the essential necessities FOOD has on healing, repairing, and nourishing our bodies. By developing an effective, filler-free and affordable product line, we aim to support the incredible importance digestive health has on millions of people. Have people easily incorporate enzyme nutrition into their daily lives. Create meaningful and educational opportunities for communities to continue to discover the incredible healing power of enzymes and healing botanicals. Encourage people to be proactive and accountable for their health and wellness-based decisions. Foster the spirit of getting back to nature and thinking outside the mainstream medical model. Deliver filler-free, magnesium stearate-free products that function as intended. When we eat such things as bread, meat, and vegetables, they are in a form that taxes the body. Our food and drink must be changed into smaller molecules for digestion so that nutrients can be received in a beneficial manner. This must occur before they can be absorbed into the blood and carried to cells throughout the body. Digestion is the process by which food and drink are broken down into their smallest parts so that the body can use them to supply us with energy. The ingredients in ‘Smart Carb’ aid digestion and help to move nutrients past an energy deprived digestive system. This product provides a concentrated source of food enzymes with disaccharidase to replace those lost in the common practice of food processing. Disaccharidases break down certain types of sugars called disaccharides into simpler sugars called monosaccharides. This is valuable as this increases available energy to the body. The presence of turmeric, black pepper and cinnamon add quality healing and inflammation-reducing properties while also supporting the function of the pancreas, liver, and intestines. These herbs have traditionally been used for their nutrient content and to aid digestion and expel gas from the stomach and bowels. This formula combines animal source pancreatic enzymes, food enzymes, and calcium for use in cases of inflammation and energy deficiency. The lymphatic system is the sewer system of your body. And, it happens to be one of the most overlooked systems. The primary role of ‘Smart Lymph’ is to enhance the vital cleansing function of your lymphatics. Smart Lymph cleans the fluid that surrounds the cells in the body by removing waste and impurities. This process not only protects the body from toxins, but also allows cells in the body to function at their absolute best. Keeping your lymphatics in first-class shape is an important aspect in maintaining a healthy life. Essential beneficial bacteria like lactobacillus acidophilus and all the other bacteria to digest nutrients and provide a microbiome balance your intestines need. Gut-supporting enzymes to help provide a healthy intestinal environment for use during periods of increased need. This formula has been naturally flavored with vanilla and pineapple and tastes amazing. Remember, 80-90% of your immune system lives in the gut. Are you experiencing embarrassing gas, painful bloating, constipation, diarrhea, nausea, heartburn or low energy? If so, you are not alone. Dr. Christine Kaczmar is a Functional Medicine Doctor, who specializes in plant-based enzyme nutrition and powerful healing botanicals. Dr. Christine started Omega Digestion out of the interest in taking nutrition further. She noticed the effect herbs and spices played in practice and as a result, naturally developed her custom formulated, filler-free blends. Her practice is located in Shelby Township, Michigan. Over the past 10 years, Dr. Christine has helped thousands of patients find their way back to health from some of the “crappiest” health conditions like Crohn’s, Ulcerative Colitis, Constipation, etc. “I am not at all interested in throwing medications at symptoms. Rather, I recognize the importance of finding the source of stress and removing it without the use of drugs. As a doctor, I want to help patients overcome their adversities — the digestive troubles that are ruining their relationships, careers, and joy. My purpose is to help provide freedom. Freedom is my most sacred value, and I am on a mission to help as many people as possible to regain theirs. Food is the TRUE medicine. Dr. Christine lives in the countryside of Michigan and enjoys mountain biking, listening to the beautiful birds and lecturing to audiences all over the world about the importance of diet, nutrition and the wellness mindset. © 2017 Omega Digestion, All Rights Reserved.